Here’s an interesting stat: Home owners seem to be more committed to their kitchen than their spouse. Most kitchens last two to four times longer than the typical U.S. marriage – which is 8 years, according to Houzz’s Kitchen Remodeling Survey. That means when home owners remodel a kitchen, they devote a lot of time to making sure it’s just right since they’ll likely stick with it for many years to come. So, what are home owners’ kitchen renovation plans? 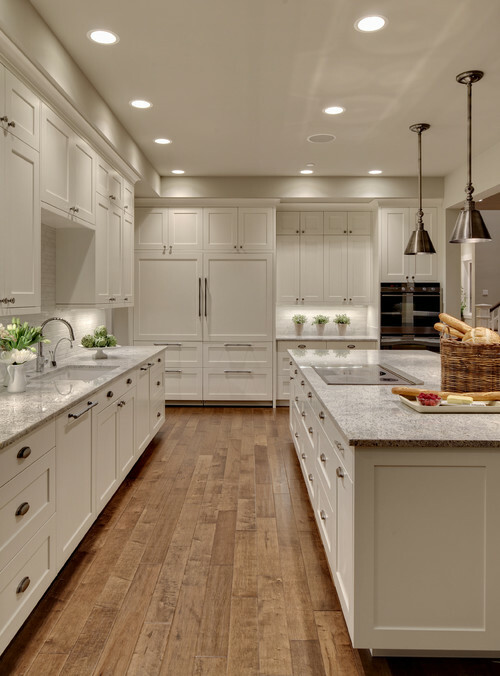 Classic finishes: Home owners mostly are sticking to the classics, with finishes like white cabinets (49 percent) in shaker (37 percent) or raised-panel (22 percent) styles. They’re also staying loyal to granite countertops (45 percent) and stainless steel appliances (83 percent). Added storage: Ease of storage (65 percent) is a top priority driving remodeling trends. Organization features like a built-in pantry (44 percent), pull-out shelves (62 percent), deep cabinet organizers (38 percent), and built-in pet bowls (6 percent) are popular. Entertainment spaces: An open-concept layout (52 percent), bar with seating (27 percent), and built-in wine storage (21 percent) are making kitchens a gathering place for family and friends. Big makeovers with big dollars: When home owners choose to undergo a kitchen remodel, the majority are going big with projects requiring substantial construction (68 percent). As such, home owners are spending big too, with 36 percent planning to spend between $25,000 and $75,000 on updating their kitchens. More than half of home owners budget $25,000 or less for their upcoming remodels. Complimenting the rest of the house: Home owners want their kitchens stylish and beautiful (59 percent), but they also want to make sure that the remodel integrates with the rest of the home too (55 percent). Other characteristics they say are important is that it is filled with natural light, adds to the resale value of their home, energy-efficient appliances, and pro-style cooking set-up. Half the fun of reading an article on dated kitchens is seeing the dated kitchens and feeling that well at least my kitchen isnt that bad. Its nice seeing the after but it lacks a context with out the before.